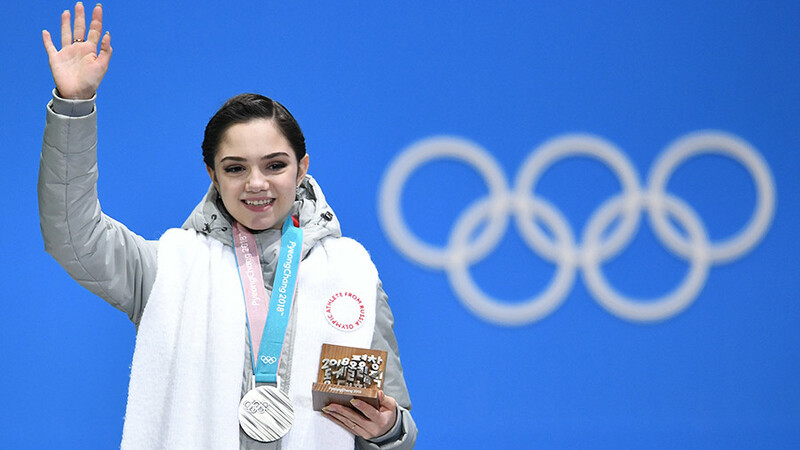 Olympic silver medalist figure skater Evgenia Medvedeva has revealed that Russian athletes secretly kept the national flag under a white scarf buttoned to their jackets while competing as neutrals at PyeongChang 2018. In a video posted to her Instagram account on Sunday, the two-time world champion, who was on her flight from PyeongChang to Moscow, unclasped the white scarf from the neutral grey jacket to reveal the national tricolor under the hood. “Well, my friends, we have arrived in our home country, so now we can do it,” Medvedeva said, while removing the neckwear. “We have long dreamed of doing it. Now everyone knows the secret of the strange white scarf. These are unbelievable feelings,” Medvedeva added, while showing the white, blue and red flag to the camera. Following Russia’s disqualification from the PyeongChang 2018 Winter Olympics for alleged state-sponsored doping, the International Olympic Committee (IOC) allowed Russian athletes with clean doping records to compete at the Winter Olympics under the name ‘Olympic Athletes from Russia’ (OAR). Before the PyeongChang Games, the IOC released a set of requirements for neutral uniforms, stressing that no indication of Russia should be included. It also noted that the word ‘Russia’ should be the same size as the words ‘Olympic Athlete from,’ and that all national emblems, including the flag and double-headed eagle – the country’s coat of arms – must be replaced with the neutral ‘OAR’ logo. Medvedeva was part of the Russian delegation that attended the IOC Executive Board meeting in Switzerland before the body ruled to ban Russia from the Games. 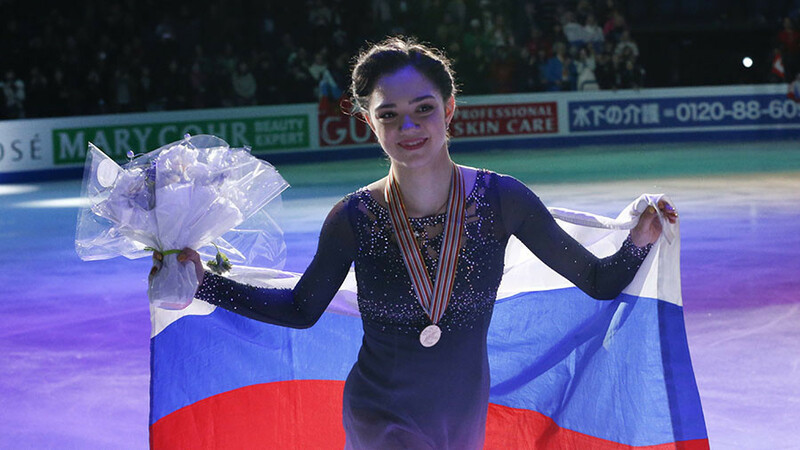 During her emotional speech addressed to the IOC members, Medvedeva outlined that she could not accept the option to compete at the Olympics without the Russian flag. 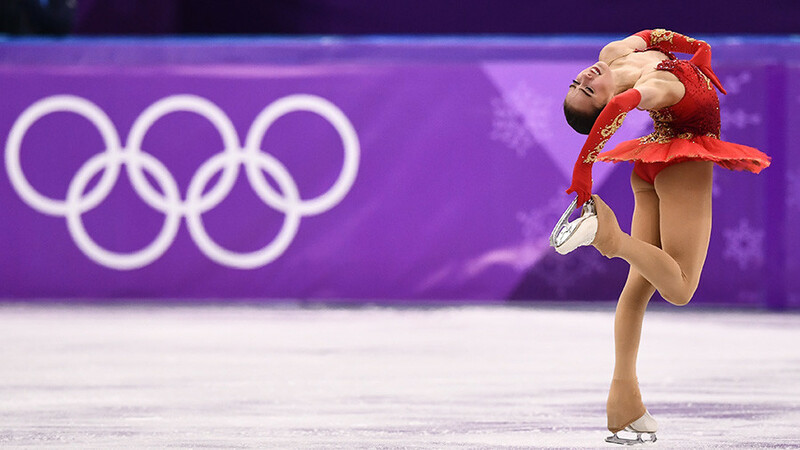 At the Games in PyeongChang, Medvedeva, who had been one of the gold medal contenders before the Olympics, settled for silver after losing the title to her 15-year-old teammate and training partner Alina Zagitova. 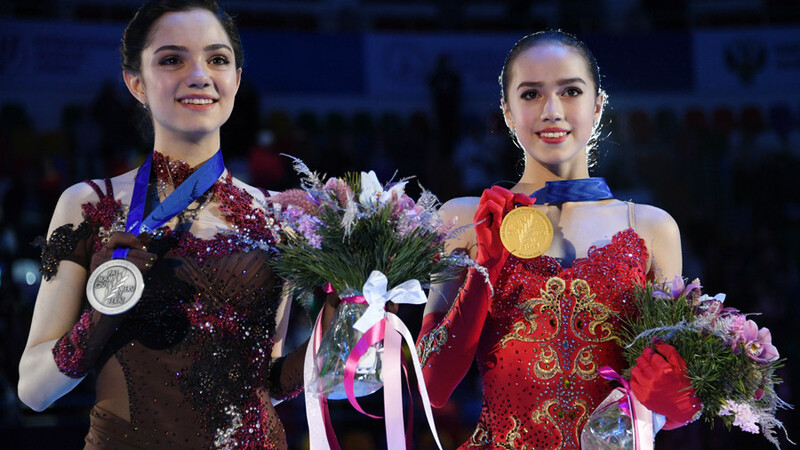 Both girls helped the OAR to win silver in the team event that opened the figure skating program. Despite the absence of several top athletes, the OAR squad still managed a total of 17 medals: two gold, six silver and nine bronze.